Finally they have arrived in Hong Kong! The ones we have been waiting for. 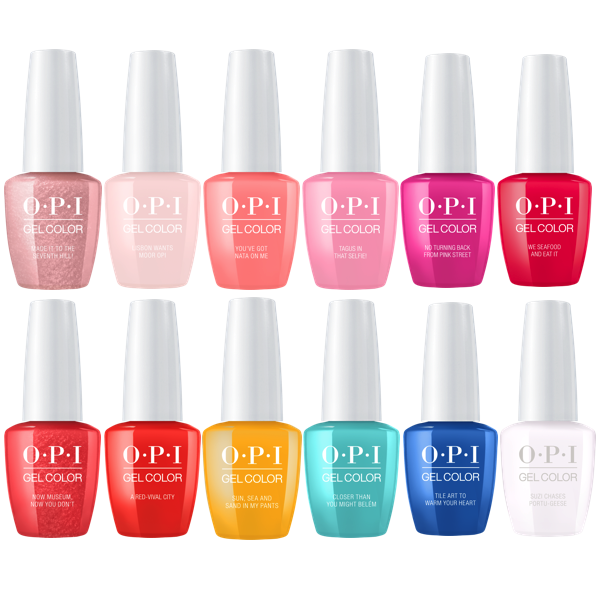 Not only nail polishes, OPI 2018 Spring Lisbon Gelcolor Collection is also here. Let us Focus on the different pink shades. There are light ones, dark ones, pastel ones and even glittery ones. This comes just in time for the cherry blossom season in April . You can never go wrong by dressing up all your nails in pink when you take pictures in front of those enchanting sakura!